The 2018 Independence Celebrations are being observed under the theme ‘One People, One Country. Our Responsibility’ and will be held in a new venue with the military parade beginning at a new time. Ann Marie Marecheau, Chairman of the National Celebrations Committee, said the decision to have the event in the Kirani James Athletics Stadium was made because that avenue has a better atmosphere for the activities planned for the day. Previously, Independence celebrations were observed at the National Cricket Stadium. “We will be having the military parade at 4 pm, and we will end with fireworks, so because the athletics stadium is lighted it provides a better ambience,” Marecheau said. The changes to the 2018 activities were announced at a news conference to launch the 2018 media activities, by Roydon Beharry, a member of the committee who is the producer assigned for the events. Beharry explained the occasion would be used to celebrate outstanding Grenadians. Before the official start of the 4 pm parade, the stadium carpark will host the annual Made in Grenada Expo which showcases products that are produced or made in Grenada by manufacturers, agro-processors and craft makers. Following the military parade, traditionally, the Independence Day rally highlight is the announcement of the persons honoured through the National Honours and Awards Act are made public and the Prime Minister delivers his Independence Day message. However, for 2018 the awards ceremony will be held at the Governor General’s residence on 6 February, while the Prime Minister’s message will be delivered during the ‘This is Home’ concert. 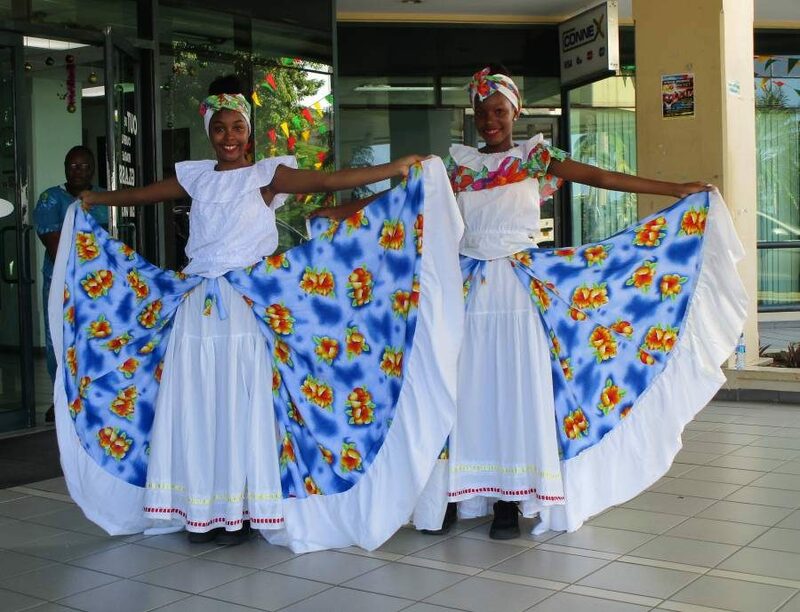 There will be a number of celebration activities throughout the country including a health walk from the parish of St John concluding in St Mark; a national motorcade; the national independence calypso competition; a cultural extravaganza in St Andrew and National Colours Day.